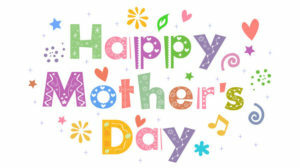 Mothers Day is a day we thank the unique Irish Mammy for looking after us, worrying about us sticking up for us! 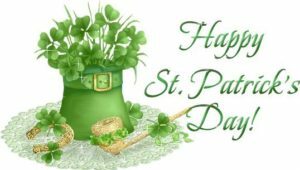 Happy St Patrick’s weekend to all our customers, stores, staff visitors to Sligo and friends. We’re open all weekend so pop in and grab a coffee in Costa or a great sambo in Cafe Souperb enjoy and stay safe! Old Romantic or Young Buck we have you covered. Pick up a great bottle of wine or something fizzy at Hargadons Wine Shop or how about a beautiful piece of jewelry from Argento or the latest scents from Boots. Happy New Year to all our customers, family and friends! 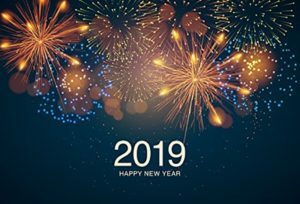 Welcome 2019. 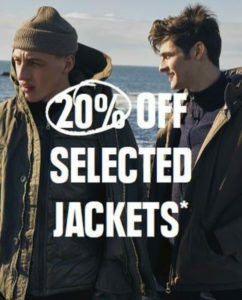 And we are starting where we left off in 2018 with huge reductions in all our great stores from Boots to Elverys Or how about a new look from Peter Mark or The Barber Shop? So to make things easier we’re open until 8.00pm from the 17th December until Friday 21st December and until 7.00pm on Saturday, and open from 9.00am to 6.00pm on Sunday 23rd December. All this so you have more time to shop at great stores like Boots, Pamela Scott Elverys and so many more. 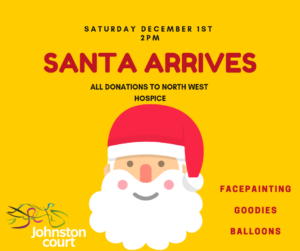 Santa Arrives on Saturday 1st of December at 2pm here at Johnston Court Sligo. He’ll be finding out if boys and girls are naughty or nice and finding out what they want for Christmas. There will be treats, facepainting and balloon modelling and its all FREE. As usual donations to North West Hospice can be left with Santa and his elves if parents wish. Its a spooktacular Saturday on the 27th here at Johnston Court with kids fancy dress, games, prizes and goody bags from 2pm. So bring your lil monsters down and grab some great bargains in our great stores while your at it! Great Hair deserves great products and now is the perfect time to stock up on all your favourite professional products at Peter Mark! Running until 29th September, Peter Mark is offering 20% off professional haircare products when your buy two or more bottled products.